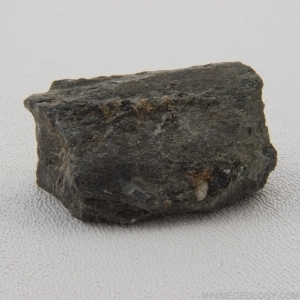 Augite is a heavy, green to black pyroxene mineral. Augite occurs in igneous rocks like gabbro and basalt and some metamorphic rocks. Augite has a gray to green streak, glassy to resinous luster and moderate hardness.